Triple threat filmmaker Dan Eberle has torn a page or two from the fertile scripts of David Mamet to craft Cut To Black, a gritty-but-polished crime drama about a disgraced ex-cop’s last bid at salvation. In addition to directing and writing the film, Eberle plays Bill Ivers, a former corrupt police officer who lost his badge a long time ago, but can’t seem to drag himself away from the “corrupt” part. Burdened by a drinking problem, financial destitution, and a loveless affair with his landlord’s wife, Bill finds himself in the thick of trouble once again when former boss John Lord, who now happens to be running for governor of New York, requests Bill’s services. Though Bill blames Lord for landing him in his current position via a job gone wrong, Bill reluctantly accepts Lord’s new proposal, which requires Bill to keep tabs on Lord’s estranged daughter while protecting her from a stalker who taunts her with disturbing letters. As can be expected from any good neo-noir, Bill’s new case thrusts him into a world of intrigue and dark forces. While some of Cut To Black’s plot devices border on the cliché – characters who aren’t what they appear, the brooding private eye with a dark past – the film’s screenplay muscles through those plot points with precision, brevity, and even courage. The subtle depth residing in Cut To Black is never more apparent than when a recurring nosebleed leads Bill to discover that his death is just around the corner – a revelation with resulting themes that echo those in Ikiru, the Japanese masterwork by Akira Kurosawa. Like Mr. Watanabe, the protagonist of Kurosawa’s film, Bill struggles to wring some sense of meaning and purpose from his final actions on earth. Even the symmetrical last shot of Bill’s body slumping in a field is reminiscent of the symmetry in Kurosawa’s famous image of his lead actor sitting near-lifeless on a swing. But this is noir after all, and Watanabe’s innocence and naivete are two traits that Bill Ivers could never muster. In fact, his suffering is framed by a trio of femme fatales whose various indiscretions take their toll on the man. Sara, the landlord’s wife who keeps luring Bill into adultery, is never looked upon by Bill as more than an attractive distraction, whereas Lord’s daughter, Jessica, represents the chance Bill never had. Once he fully uncovers the truth about her past and the purity of her love for her boyfriend, Duane, Bill spends his final days working to free them from both the clutches of Lord and the financial debt owed by Duane to a local crime boss named Yates. The film’s third femme fatale is Liz, a mysterious woman dying of AIDS, who may have once been Bill’s lover (or wife?). Her cloudy and tragic past is tied to Bill’s through the same case that sent Bill to jail years prior, destroying his career as a police officer. With a tip of the fedora to film noir of old, Cut to Black attempts to portray these past events like some kind of shrouded, symbolic Chinatown, but a bit more backstory could have provided greater emotional connection to the characters. 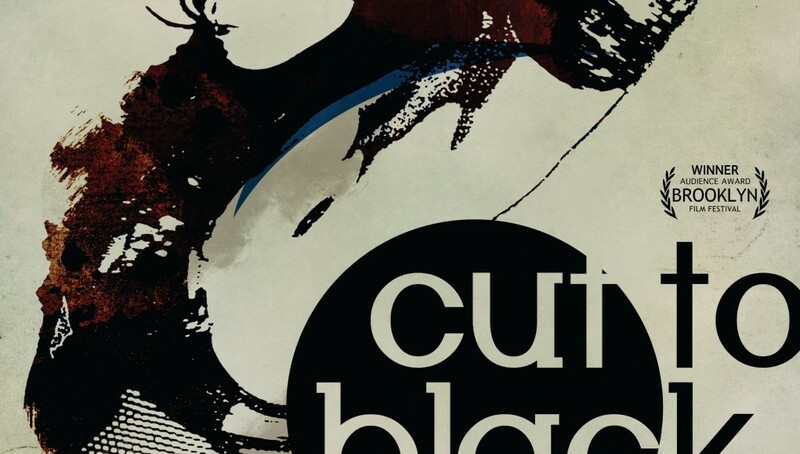 That said, a round of solid performances by the cast of Cut To Black, in addition to some incisive editing and a fantastic musical score that is three parts post-rock, one part Cliff Martinez (with a dash of Steve Reich added in), all work to make up for a few shortcomings in the narrative. Eberle’s performance is lean and strong, while James Alba as John Lord, and Paul Bowen as the eccentric Yates, both steal the small handful of their respective scenes. The film’s youngsters are notable as well, as Jillaine Gill turns in a potential breakout performance as Jessica, while Joe Stipek, though awkward in his delivery of dialogue, calls to mind Ewan McGregor in both his looks and energy. 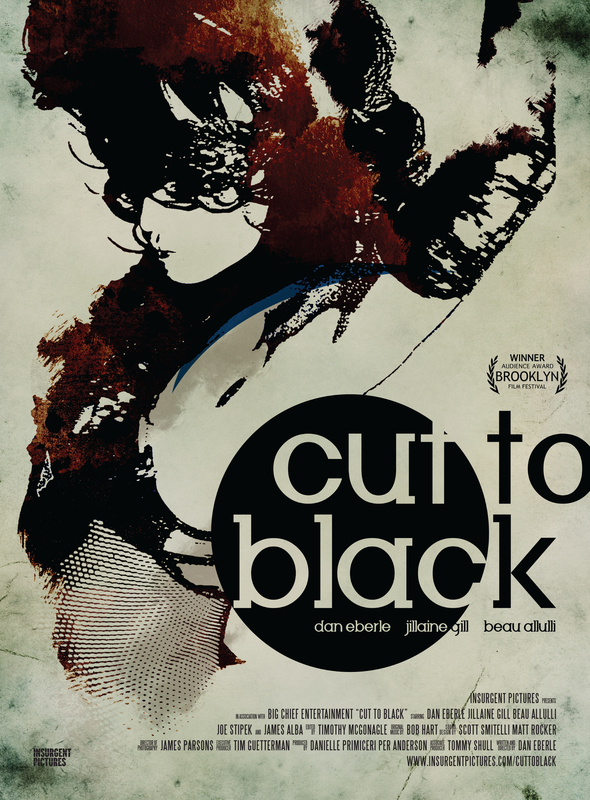 There are scenes in Cut To Black, like its one or two action sequences, in which the small budget forces the film to show its seams, but Cut To Black feeds off of these limitations, managing to use everything at its disposal – barren locations, basic wardrobes, a no-nonsense script – to tell its story and convey its simple but profound point. Much like the protagonist he plays in his film, Dan Eberle has taken the chance he’s been given, thrown caution to the wind, and has, with definition, done something good.